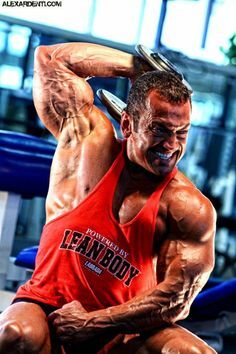 Which Bodybuilding Supplements You Need to Use and Why? 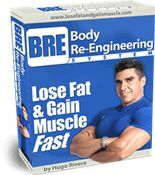 When it comes to gaining lean muscle mass, most people think that bodybuilding supplements are the most important part of the equation. However, this could not be any further from the truth. Supplements are just additions to an already good nutrition and training program. Nutrition and training are the most important components of a bodybuilding program, with rest and recovery next to them. Once all of those aspects of your program are maximized, then you can start thinking of adding bodybuilding supplements to your program. Please understand that supplements do not make up for improper training, or lack thereof, or a low quality diet. Supplements only work when your diet and your training program are optimal. Nutritional supplements are good because they prevent us from getting any nutritional deficiencies. The increased activity levels from your new exercise program will make your body have greater demands for vitamins and minerals, which will increase the probability of you suffering a deficiency without supplementation. Even a slight nutrient deficiency can sabotage muscle growth. Can’t we get all the nutrients we need from food alone? We cannot rely solely on food nowadays to provide us with all the vitamins and minerals that our body needs because the processing of foods before they get to the supermarket, cooking, air, and even light have already robbed your foods of most of the vitamins that they have to offer. If you are deficient in one or more nutrients your body may not be able to build muscle and burn fat properly. These are the supplements that you always need year round in order to gain muscle. If you have a limited budget, these are the only ones that you need to concern yourself with. Essential to insure that your body will operate at maximum efficiency. Why? Because on a very simplistic level, without vitamins and minerals it is impossible to covert the food that we eat into hormones, tissues and energy. Vitamins are organic compounds (produced by both animals and vegetables) whose function is to enhance the actions of proteins that cause chemical reactions such as muscle building, fat burning and energy production. There are two types of vitamins: Fat soluble vitamins – they get stored in fat and therefore if taken in excessive amounts will become toxic such as A, D, E, and K. Water soluble vitamins – they are not stored in the body such as the B-Complex and Vitamin C.
Minerals are inorganic compounds (not produced by either animals or vegetables). Their main function is to assure that your brain receives the correct signals from the body, balance of fluids, muscular contractions and energy production as well as for the building of muscle and bones. 1) Bulk minerals – Which are called this way as the body needs them in great quantities in the order of grams such as Calcium, magnesium, potassium, sodium and phosphorus. 2) Trace minerals -Which are needed by the body in minute amounts, usually in the order of micrograms such as chromium, copper, cobalt, silicon, selenium, iron and zinc. Where Can You Get Vitamins and Minerals From? I like simplicity and because of that I tend to get most of my vitamins and minerals from multiple vitamin/mineral packs. The ones I personally use are the Prolab’s Training Paks, which are loaded with potent levels of essential nutrients and bioactive compounds. Because of hectic schedules it is impossible to eat the six perfectly balanced meals that are required to get in shape a day. Therefore, these supplements can be used as “fast food”. 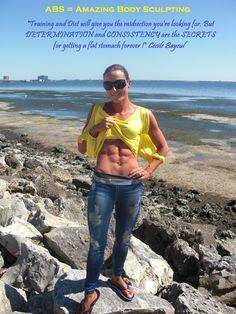 They are easy to prepare (if it is a protein bar then no preparation is required) and most of the formulas that are available on the market today pay close attention to taste. Because the topic of protein supplements is very extensive, please take a look at my article on protein supplements here. Essential fatty acids, Alpha Linoleic Acid (Omega-3s) and Linoleic Acid (Omega-6s), are fats that need to be consumed through one’s diet as the body cannot manufacture them. They are most important as they are involved in several key body functions such as energy production, fat burning, brain and nerve tissue development, mood regulation, insulin metabolism, hemoglobin production, etc. In addition, these fats have some interesting properties such as anti-inflammatory properties, anti-lipolitic properties (prevention of extra calories being stored as fat), reduction in allergies, and immune system strengthening. Where Can You Get EFA’s From? Having said that, where can one find EFA’s? Salmon and flax seeds are high on the Omega-3s. If you do not consume any of these items, then either flax seed oil, flax seed oil capsules or fish oil capsules would be a good idea to add to your supplements program. Omega-6 fats typically do not need to be supplemented as they are easily found in poultry, eggs and whole-grain breads. Typically, one’s diet is abundant on the Omega-6 but lacking on the Omega-3’s. My favorite EFA products are manufactured by Labrada Nutrition (EFA Lean Gold) and a company called Pride Nutrition (Premium EFA). Both of these products have a nice blend of EFAs and also contain CLA (conjugated linoleic acid) and GLA (gamma linolenic acid). These two fatty acids are showing very promising studies for weight loss and joint lubrication. These are the only products I have ever tried where you do not end up burping the oil a few minutes after you take the capsules. Other good products are Serrano Labs Alpha Omega-3s, which is also an excellent product. For CLA only capsules I like Prolab’s Enhanced CLA which also has some flaxseed oil in order to provide some Omega 3’s. Vitamin C is a water-soluble vitamin that improves your immune system and helps you recover faster from your workouts by suppressing the amount of cortisol (hormone that kills muscle and aids in the accumulation of fat) that is released by your body during a workout. Vitamin C is the only Vitamin that I recommend to be taken in mega doses quantities. Remember that since it is a water-soluble vitamin, it will not get stored by the body. Research shows that if taken an hour before a workout (1000mg dose) it significantly reduces muscle soreness and speeds recovery after a workout. I recommend a total of 3000 mg per day of Vitamin C. If your multiple vitamin pack already has 1000 mg, and you take this in the morning, then all you need is an extra 1000 mg at lunch and 1000 mg at dinner. A good Vitamin C that comes in 1000 mg capsules at a super awesome price (250 caps at $10.49) are produced by Higher Power Nutrition. Chromium Picolinate is a mineral that may enhance the effects of insulin, the hormone that pushes amino acids (protein) and carbohydrates into the muscle cell. As we have previously discussed, insulin is one of the most anabolic hormones in the body; it determines if the food that you eat is going to be used for muscle production, energy production or fat production. When insulin is secreted in moderate levels, it aids in muscle and energy production. In excessive levels it only promotes fat storage. 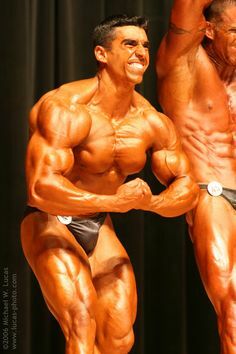 Chromium Picolinate may upgrade insulin’s capability to produce muscle and energy by making the cells in the body more prone towards accepting this hormone (in other words, enhancing insulin sensitivity). 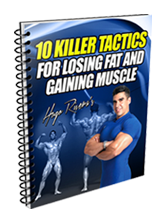 In doing so, it may help you to gain muscle and lose fat faster as insulin will now be able to deliver the desired nutrients to the muscle cell. Chromium may also keep blood sugar levels stable, thereby preventing insulin levels from going high enough to begin promoting fat storage. Again, chromium only works if we follow a proper diet. Also, while it is not the magic bullet that it was claimed to be for building muscle back in the early 90’s I still feel that it is useful for ensuring that our insulin sensitivity is at its peak. Again, I like Higher Power’s Chromium Picolinate due to the quality and awesome price. Quantity: 200 mcg with the post workout meal and with breakfast on days off. MultiVitamin/Mineral Complex taken with breakfast. Essential Oils, at least 14 grams per every 100lbs of bodyweight or EFA Lean Gold caps. 1 gram Vitamin C taken with breakfast, lunch and dinner. Weight Gain, Whey Protein Powder or Meal Replacement Powder for mixing with skim milk or water in order to make protein shakes. (Needs vary depending on diet). 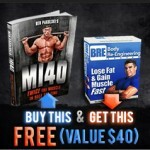 Bodybuilding FAQ – What Are The Best Bodybuilding Supplements for Teenagers? 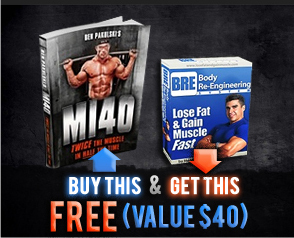 Leave a Comment with Facebook for Which Bodybuilding Supplements You Need to Use and Why?